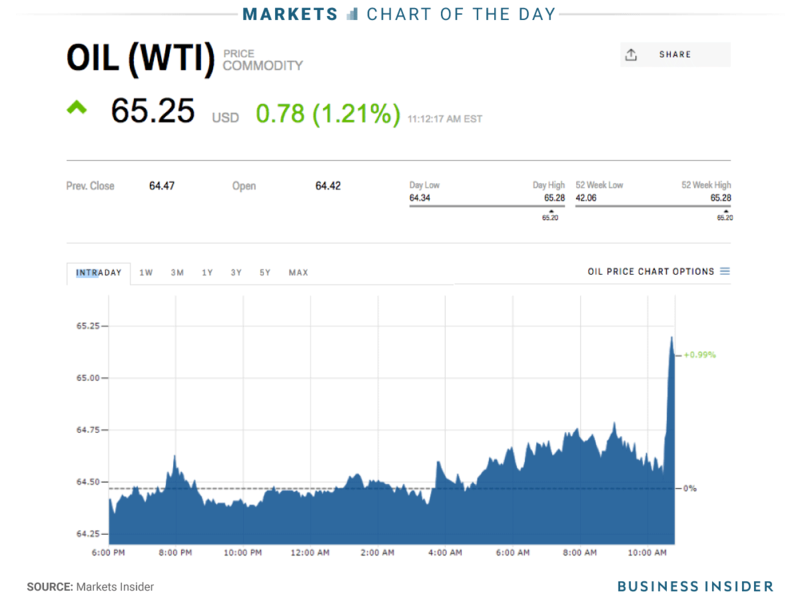 West Texas Intermediate crude oil climbed above the $65 mark for the first time in more than three years on Wednesday. The benchmark is important because it is considered a ‘break-even’ price for producers. A barrel of US benchmark West Texas Intermediate crude oil briefly sold for more than $65 for the first time since December 2014 on Wednesday before falling back just shy of the landmark price. The milestone is significant because it is the price point at which extraction oil is profitable for most drilling companies, depending on the method they use.